Ah, tax season… could there be a more thrilling time of the year? So, today I was reviewing a sales & use tax form for the State of Illinois. Since our governor really isn’t helping matters in our state these days, we felt the least we could do to help was to make sure to pay our taxes on time. So, I was looking at our sales tax report in Quickbooks and, like a good accountant, just quickly checked to make sure it matched up against the total revenues in the income statement. They didn’t match. Hmm… funny thing about accounting, things really ought to balance. It was a small discrepancy, but after searching unsuccessfully for the difference, it was clear that the issue involved more than one transaction. And, unfortunately, there were just far too many transactions to try and come up with a solution manually. So, since I happened to have this data browser laying around, I exported both reports as CSV files and opened them up in Kirix Strata™. The Quickbooks CSVs were obviously meant for spreadsheet export (as it included subtotals and odd record breaks), so I quickly did some clean up and then did a few gymnastics to compare the tables. Turns out there were a few manual journal entries that weren’t mapped to the sales tax codes required by Quickbooks. And here I was hoping to blame Quickbooks… oh well. Running through this process was a 5 minute affair, but it made me wonder about all these other small data manipulation tasks that are out there. There have got to be millions, nay, billions, of these things — 5 minute one-off, ad hoc data tasks that just can’t be solved with the help of a spreadsheet (in this case, grouping or relationships were needed to do this quickly). What do people normally do in these situations? I fear that they probably spend hours working the problem manually. Got a similar story and/or solution? Feel free to share in the comments section below. This is not a blog that delves into political issues, but I happened to notice that the Obama transition team released the names of all their donors today. However, inexplicably, they don’t have them in a CSV format for easy slicing and dicing in your favorite data analysis software. Google is the employer with the most total donations at $14,200 (from “Google” and “Google, Inc.”, 8 employees). 4 people who defined themselves as “Not Employed” gave a total of $11,250. There are 1,776 donors in the list. Mere coincidence… or more evidence that Obama is truly “that one” (alternatively, the list could have been hacked because he is “the one“)? The data is a little bit dirty (particularly the “Employer” field), but you might have some fun poking around. Shoot us a message in the comments if you find anything interesting. P.S. Also, I saw this article about data overload during the campaign… looks like the Federal Election Commission could have used the Kirix Strata government discount. * Dirty data, data access issues, and explaining data mining to others remain the top challenges faced by data miners. * Data miners spend only 20% of their time on actual modeling. More than a third of their time is spent accessing and preparing data. * In selecting their analytic software, data miners place a high value on dependability, the ability to handle very large datasets, and quality output. We’ve found these issues to hold true with our clients as well, particularly in various auditing industries. Auditors will get a hold of their client’s data, maybe in some delimited text file. The data set is inevitably too large for Excel to handle easily, so they may try Access (of course, once they are eternally frustrated, they give Kirix Strata™ a shot). Once they can actually see that data set, they start exploring it to learn about what they’re looking at and then inevitably find out how dirty it is. Multiple fields are mashed together or individual ones are stripped apart. Company names appear multiple times in various forms (”I.B.M” vs. “IBM”). An important bit of numeric information is embedded in a text field. 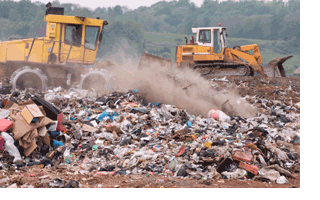 There is no end of time spent “purifying” the data set to make sure to avoid the “garbage in, garbage out” syndrome. Often overlooked, data cleansing is really as important as the analysis itself. Only once this step is complete can you move on to your data mining or other data analysis. Check out the survey summary yourself and let us know if it matches your experience. You are currently browsing the archives for the dirty data category.